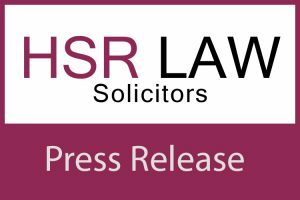 HSR Law Solicitors of Doncaster have added three team members to their expanding property departments in Doncaster, Gainsborough, and Epworth. Agricultural Specialist Alayne Addy has joined HSR Law as a senior solicitor bringing over 20 years of experience in agricultural law, property and farming issues to HSR Law. Alayne will work with the existing agricultural and commercial property teams from HSR Law’s Gainsborough and Epworth offices. Residential Conveyancer Tony Ainsley has joined HSR Law’s Doncaster office as a senior residential conveyancer. Tony has over 20 years’ experience in residential property including private client and national panel work. Melissa Squires has joined HSR Law’s commercial property team as a Paralegal to work with solicitors Paul Russell, Chris Harvey, and Alayne Addy. Melissa is a 2015 law graduate who has completed the Legal Practice Course and joins HSR Law following an 18-month role in a Leeds Property firm. HSR Law Partner and Head of Real Estate Paul Russell said, “Our Property team continues to expand as a result of high demand for our teams’ services. Tony, Melissa and Alayne bring significant experience and expertise and our clients have welcomed the addition of 3 new team members”.